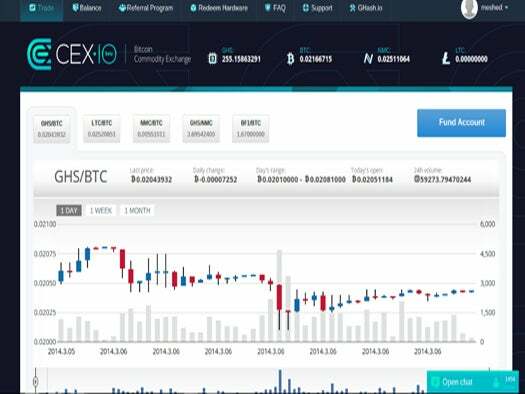 CEX.io offers a commodity trading system for shares in bitcoin miners -- hardware systems that compute the cryptographic solutions for the proof-of-work that allows the bitcoin ledger to be appended. In the process, new bitcoins are created as a reward for the miners. Your shares earn you new bitcoins, but as the calculations grow harder, the value of your shares declines. The mining shares in CEX.IO are fulfilled by computers owned by the company and contributing to the mining pool at GHash.io. A mining pool allows many small contributions to be aggregated into the solution of a calculation unlocking a bitcoin block, together with its reward of 25 bitcoins shared among the miners. GHash.io uses both its own hardware and that of individuals working remotely with their own hardware. 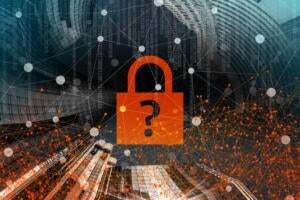 It is a powerful source of control for bitcoin and has recently caused concern it may have aggregated enough control to exploit a well-known defect in the bitcoin protocol to generate fraudulent transactions. 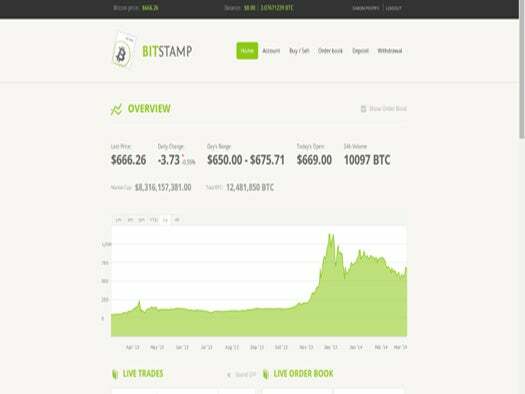 Bitstamp is a widely used bitcoin-only exchange offering trading only in U.S. dollars (despite being based in Europe). It provides limited automated trading and unsophisticated analysis and price history, but the payments are reliable and the customer service is responsive. Most important, it processes huge volumes of transactions. I found its banking operations reliable in both dollars and euros, and I continue to use it. Coinbase is a payment provider similar to PayPal but offering transmission of funds in bitcoins. As a merchant platform, it offers subscriptions, reporting, and daily fund sweeps to your bank. It also offers embeddable payment elements for your website and handles transaction completion through callbacks. Customers can easily make payments by purchasing bitcoins in their own currency; Coinbase then guarantees you will receive the dollar amount you quoted for the goods. Most retailers who claim to accept bitcoin actually use a payment provider like Coinbase or BitPay and never themselves handle a single bitcoin. Here are working sample hosted payment pages in bitcoin and in dollars. Kraken offers comprehensive trading data and facilities for a range of crypto currencies, including litecoin, namecoin, and yes, dogecoin. Low trading volumes mean the most advanced trading capabilities have not yet been enabled. 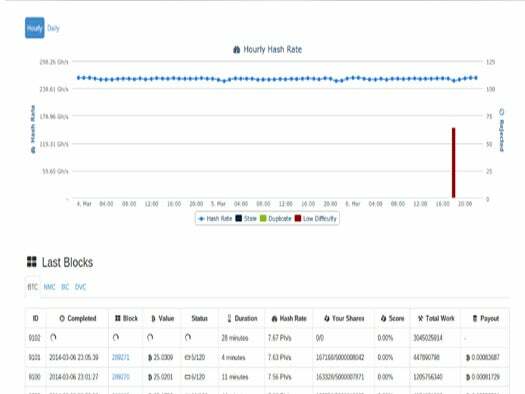 I now use Kraken for experimentation in dogecoin and namecoin trading only, although its history and statistics features are also useful. Kraken's analysis and history tools across a wide range of trading pairs are impressive, but I experienced slow and ineffectual support and lengthy non-payment periods. Its fiat currency trading is effectively restricted to euros as it has had problems receiving and remitting dollars. This is a promising service that's trying hard, but I plan to treat it with caution until these issues are demonstrably addressed. All of the services take great care to observe both U.S. and host country antilaundering regulations. As such they require extensive identity proofs, especially for businesses. This image shows the process at Kraken, but each exchange has a similar approach. The more detailed approval levels involve manual processing; expect to wait several days before you can trade at the levels gated on such approval. What can you do with bitcoin without exchanging it for fiat currency? Your options are no longer dominated by questionably legal activities. I pay for the extras on my WordPress blog, meshedinsights.com; I've also used bitcoins to purchase electronics, food, and drink. Bitcoin is not the only game in town. Since the core code is open source, many people have created their own crypto currencies. 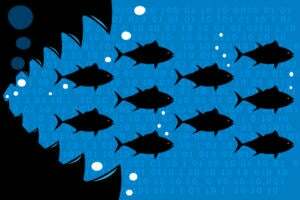 Some of them, such as litecoin, have developed a substantial following. Others, such as dogecoin, try to remain ironic but are gaining a life of their own that may overwhelm the original humorous intent. My research was enabled by kind reader gifts of bitcoins several years ago. 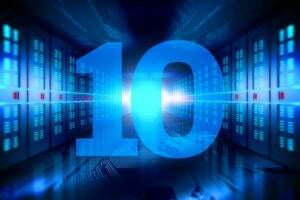 Would you like me to explore further in the crypto currency universe? Send me some coins to the addresses above to use in the experiments, and I'll report back!